HOME LIFE Nature & Environment How magical are Japanese mushrooms? Mushrooms have been an integral ingredient in Asian cuisine, particularly Japanese, and traditional Asian medicine for thousands of years. 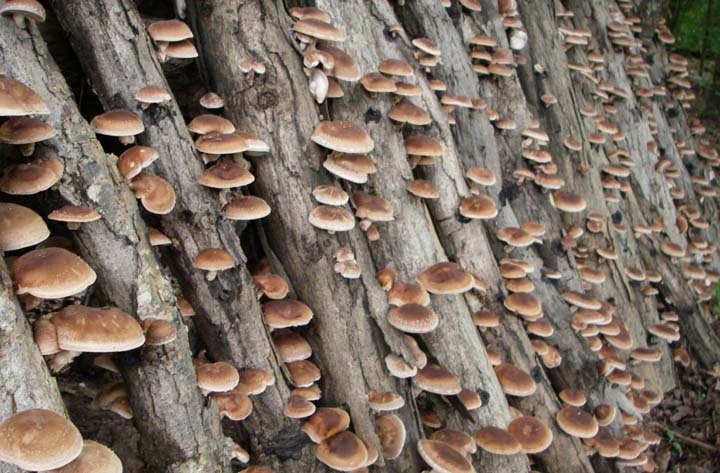 Shiitake mushrooms (lentinus edodes), were named by the Japanese but can be found across Central Asia. They have long been a symbol of longevity due to the fact that they contain multiple nutrients including being rich in protein, fats, amino acids, carbohydrates, trace elements and soluble dietary fiber that are indispensable for human health. People in North America have been a bit slow to catch on to these now abundantly popular mushrooms due to their slimy texture and rich smoky flavor. Like other mushrooms, these specialty mushrooms are mysteriously unique as they are delicious. 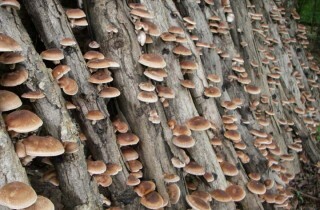 Shiitake mushrooms are grown on farms. Every kind of mushroom has a unique character and a diverse range of mysterious qualities. As we all know, some mushrooms have been appreciated for centuries not for their flavor, but rather for their psychedelic qualities that may enable the ‘consumer’ to reach new states of consciousness. There is a wide range of what are referred to as ‘magic mushrooms’ but the most popular by far are the genus Psilocybe. These mushrooms contain two different chemicals: psilocybin and psilocin, that are known for their ability to induce hallucinations. In Japan, drugs and drug consumption are taken very seriously (apart from alcohol and tobacco), so it was surprising to find that that up to 2002, magic mushrooms were completely legal. They could be purchased in head shops, and apparently even in vending machines. It is probably more than a coincidence that they were made illegal in 2002, just ahead of the arrival of the World Cup that was to be played in Japan during the same year. It is believed that Japanese leaders changed the law in anticipation of an influx of a large number of foreign fans who could have easy access to partake in the consumption of the mushrooms and potentially cause trouble, which could then translate to bad publicity for Japan. 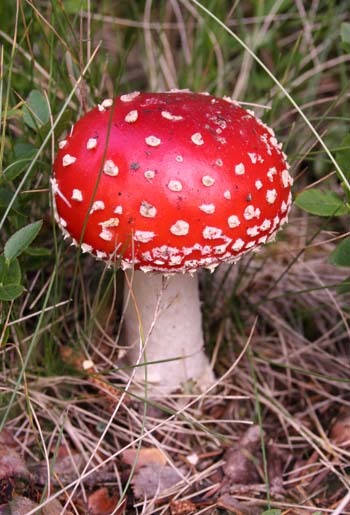 Mushrooms of amanita family that some call Mario Brothers mushrooms do not give anyone super powers but are all extremely poisonous. The long cultural history of magic mushrooms in Japan is fascinating, especially when considering how conservative the Japanese can be in deciding what activities are legal or illegal for their citizens to participate in. There is evidence that magic mushrooms were consumed by people of the Jomon culture. This occurred during the Japan’s Neolithic Period (Ca. 10,500-ca. 300 B.C.). Evidence for this fact came from an archaeological site in the Akita Prefecture indicating that Jomon people, as well as several cultures in various other areas, most likely used magic mushrooms for ritualistic purposes. In Japanese folktales that detail the diversity of Japans flora and fauna, the mushroom is the most common character, and tends to take center stage in more than its fair share of stories. 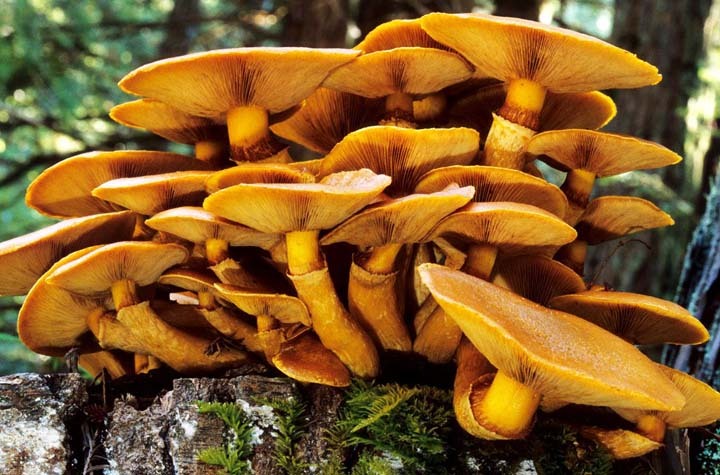 One species of mushroom in Japan called Gymnopilus Junonius, is commonly know as the ‘Laughing Mushroom.’ It is highlighted in a medieval Japanese Tale (Konjaku Monogatari) in which woodcutters from Kyoto who had lost their way in the Kitayama mountains, became very hungry after endless wandering. Instead of dying, they ate numerous mushrooms whereupon they became compelled to dance and laugh for hours on end. Eventually the intoxication wore off and they were all able to find their separate ways home. Evidently, the woodcutter’s story is an unusual tale because, as we know, most who consume mushrooms are rarely compelled to dance. Although most who consume magic mushroom do so predominantly for entertainment value, they are often also ingested for medicinal purpose. For example, some people suffer from extreme headaches called ‘cluster headaches’, which are described by sufferers ‘like an icepick piercing through your eyes into your brain.’ These headaches come in cycles of, either multiple times a day, a week or a month. Sufferers who have tried the gamut of FDA approved medications for these cluster headaches have often not found relief until apparently resorting to the consumption of magic mushrooms. These sufferers are not interested in the potential psychedelic effects of the mushroom, but rather, the relief that they receive from them. Thus, the dosage that they consume is about a quarter of what an average ‘recreational’ dose might be. There are cluster headache groups that can be found online who offer useful advice to sufferers of this tremendous pain. One of these advice sites is found at www.clusterheadaches.com. The next time you are at the supermarket strolling down the ‘vegetable’ aisle, you may find yourself taking pause to consider mushrooms in a different light. They may appear more regal and mysterious than the last time you gazed upon them as you are now reminded of their ‘magical’ family members. A word to the wise, if you do find yourself out wandering in the wilderness, do not follow the woodcutters example of picking wild mushrooms to consume unless you are absolutely certain about what you are eating. Even experienced mushroom pickers must do several specific tests to assure that the mushrooms they are picking, are in fact, edible. Quite often, these interesting woodland fungi can be extremely poisonous to the point of even causing death. Keeping this fact in mind, you might want to stick to the supermarket or the restaurant soup-floating mushroom varieties to ensure that you don’t end up dancing your way to the woodlands of the afterlife or in the least, severely bad cramps and an unanticipated trip to the hospital emergency room.